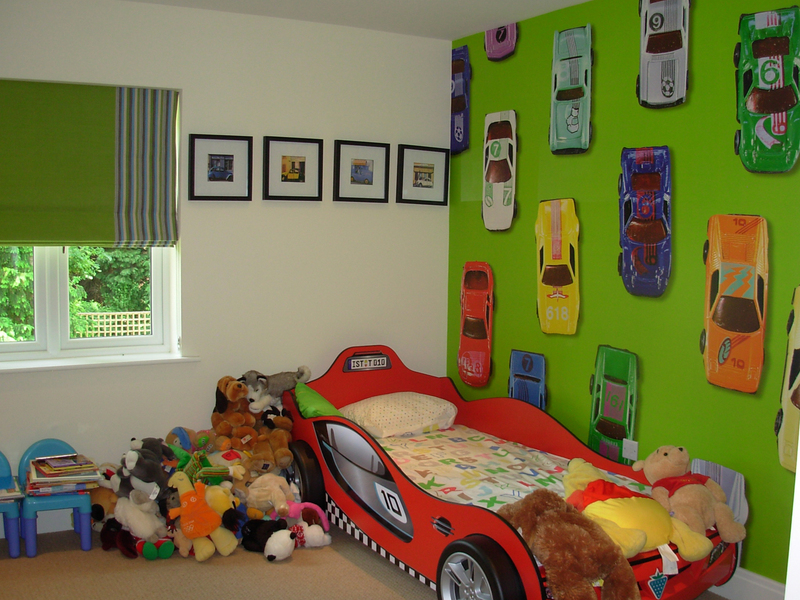 The aim was to provide a bright and fun environment, with a car theme, for the young resident of this bedroom! The clever photographic ‘toy cars’ wallpanel, sourced from Nono’s mini wallpower collection definatley fitted the bill. I then selected a lime green cotton to match the background of the wallpanel, with a border fabric in a stripe, both from Designers Guild. The 4 framed pictures of old cars were sourced from the Trowbridge Gallery. The bed was added later, but works remarkably well!